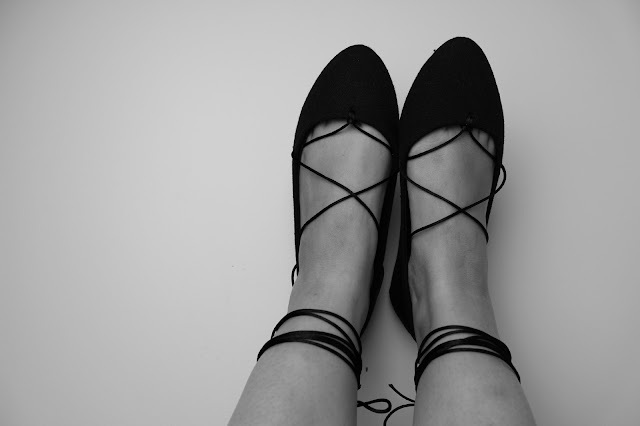 Welcome to my version of lace up ballet flats. Shoes like this can retail up to $150, my natural instinct was like hellllllllll na girl! So I decided to get creative & make my own. This DIY is so easy you'll probably have yours made before you finish reading this blog post. 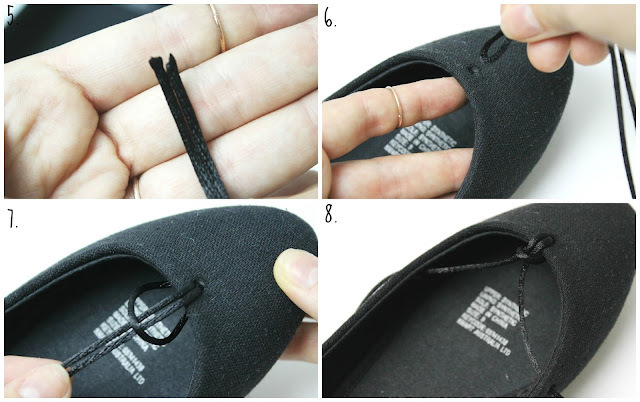 All you need for this DIY is a pair of ballet flats (I bought mine for $4 from Kmart), thin black round ribbon (found mine for $2) & a heavy duty hole punch (borrowed mine from Olos). First; decide & mark (if needed) where you would like your holes to go. Once they're all done, you'll need about 2 metres of ribbon per shoe. Fold it in half and make it completely even. 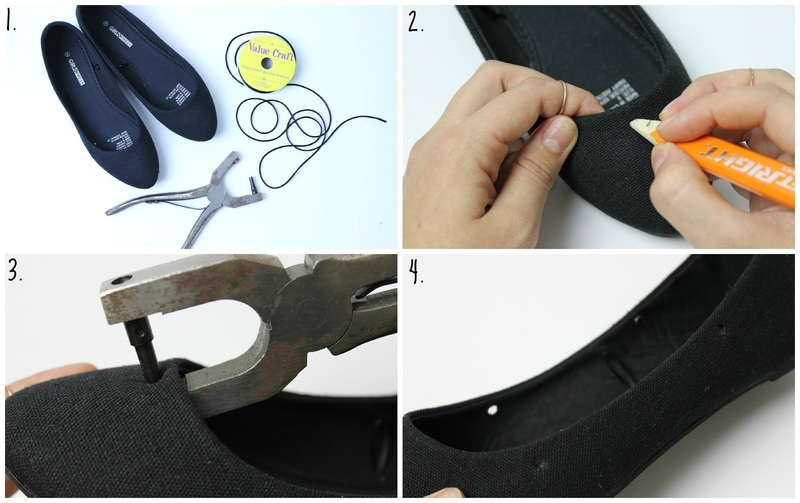 Then grab the other, feed it through the first hole and secure it by bringing the 2 pieces back though the loop. Finish by criss-crossing the ribbon as you loop it. I would love to see your versions! Instagram, Facebook or Tweet me with pictures!